You'll find yourself with plenty of awesome options when it comes to booking happening places to stay in Madrid. 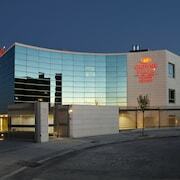 We feature 567 accommodation options within a 10-kilometre radius of Madrid's city heart. 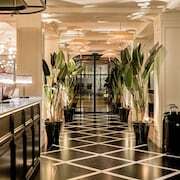 There's no need to stay way out in Woop Woop because you'll find awesome accommodations like the The Westin Palace, Madrid and Urban within a kilometre of Madrid's downtown area. The Madrid neighbourhood of Gran Via is hard to go past when you are thinking about places to crash. There's about 137 here. Be sure to check out the ApartaSuites Satellite by Abalú and Splendom Suites Gran Vía, just a few of the awesome hotel choices here. Another option is Puerta del Sol. This area can be found 0.6 kilometres from the centre of Madrid. If you're interested in finding a room here, be sure to check out the NH Collection Palacio de Tepa and Villa Real Hotel. But don't feel you have to restrict yourself. Chueca and Huertas are also good choices. The Only You Hotel & Lounge and Madrid SmartRentals Chueca are in Chueca, and the ME Madrid and SmartRentals Atocha are in Huertas. The Hotel Ritz and AC Palacio Del Retiro, Autograph Collection are located in Retiro, while AC Santo Mauro, Autograph Collection and Relais & Châteaux Hotel Orfila are part of the Chamberi area. You could look at the Gran Melia Fenix and also the Hotel Adler Madrid. 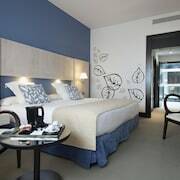 The Gran Melia Fenix is located 2 kilometres away from the main part of Madrid. 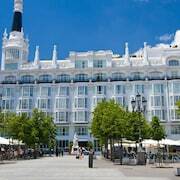 The Hotel Adler Madrid is situated 2 kilometres away. 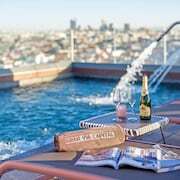 The Hospes Puerta de Alcalá and also the Luxury Suites are two alternative accommodation options worth checking out around Madrid. After you've explored all the sights in Madrid, ensure you have enough time to discover Madrid's other attractions. Explore the old towns and historic palaces in Madrid, or simply head off with that someone special and enjoy the area's lovely forests, rivers and streams. Common things to do in this part of Spain include mountain biking, hiking and horse riding. It's well known that we Aussies just love to relax, so consider staying a little longer and check out the Teatro Infanta Isabel and Church of St. Anton's, in Chueca, 0.9 kilometres to the northeast of Madrid. 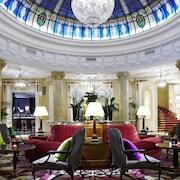 Some of our recommended Chueca hotels are the Wellington Hotel and InterContinental Madrid. 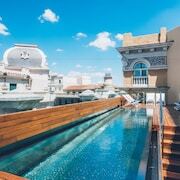 0.4 kilometres to the north of Madrid you'll find Gran Via, which is home to the AC Hotel Recoletos by Marriott and Hesperia Madrid. The Sala Alcala 31 and Circulo de Bellas Artes are just some of the more popular attractions to experience in Gran Via. Before you say "catch ya later" to Madrid, ensure you experience a local game. Find The Magic Box to the south of Madrid. Those sports fans wanting to find accommodation nearby can take their choice from the Radisson Blu Hotel, Madrid Prado or the SmartRentals Atocha. Barajas Airport is the most convenient gateway to Madrid. 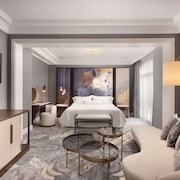 Nearby hotels include the Hilton Madrid Airport and the Meliá Barajas.